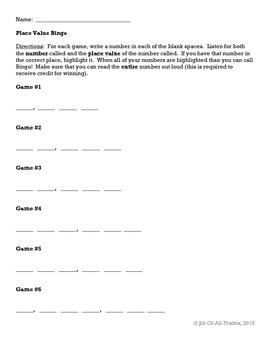 A quick, fun game that the whole class can play together. Each child writes a 4-7 digit number and they earn a number only when the teacher calls both the number AND place. Directions are on the sheet. When a child gets BINGO they must read the number correctly to get their prize.